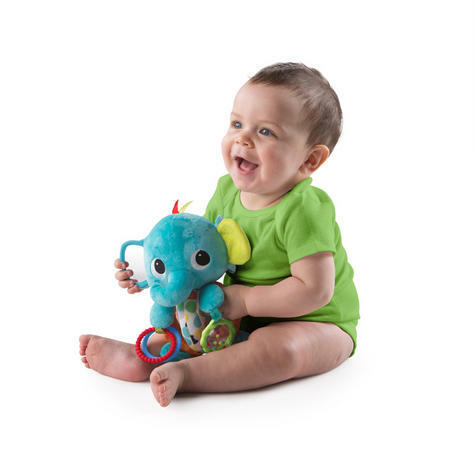 Fun Comes First!™ This cuddly pal from Bright Starts is the perfect companion for baby's play time. 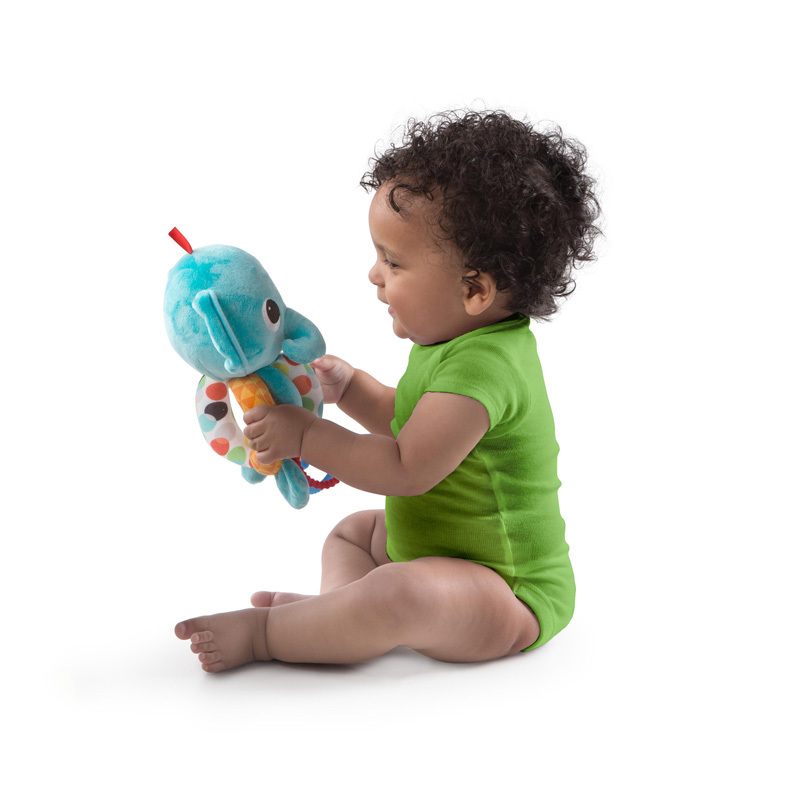 It’s thoughtfully designed for the tiniest hands to explore, with extra-soft materials and a range of fascinating textures. 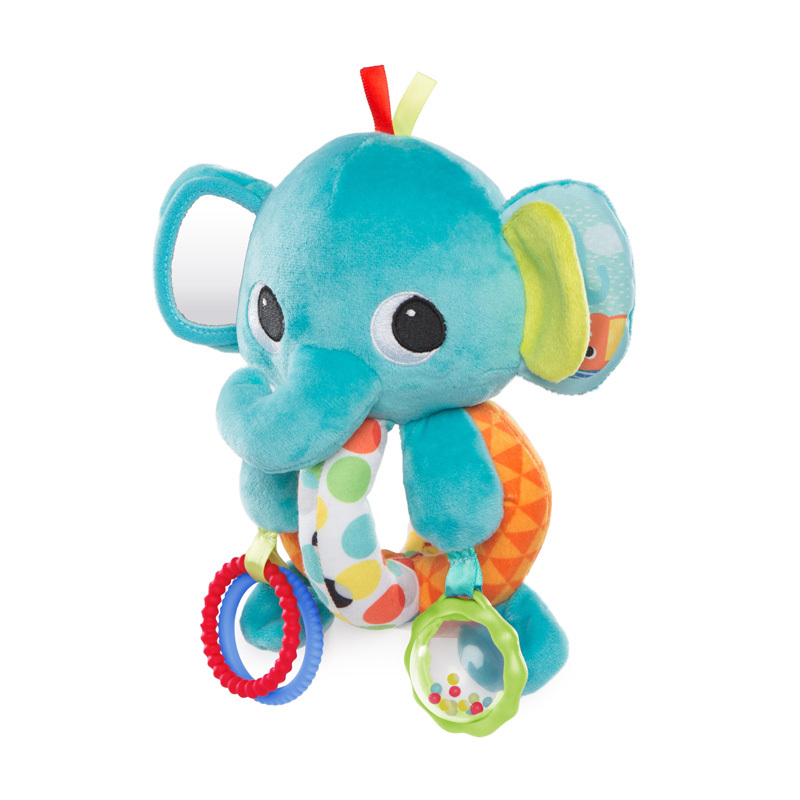 This little guy features 6 different activities, including a chime, mirror, peek-a-boo ear flap, rattle ball, and teething rings. 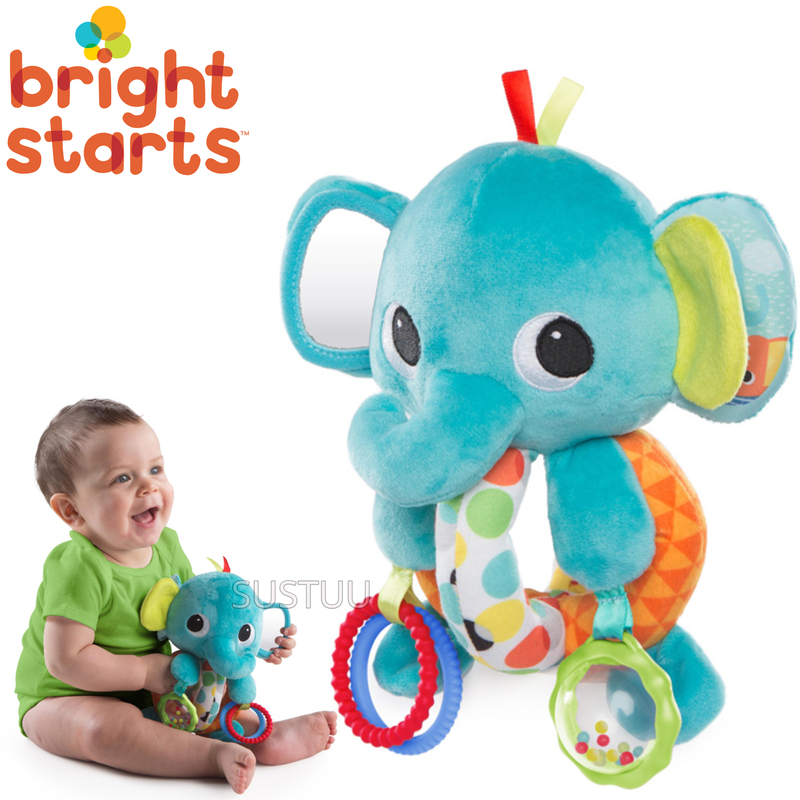 The toy’s segmented design makes it especially easy for baby to grasp.